Mt. 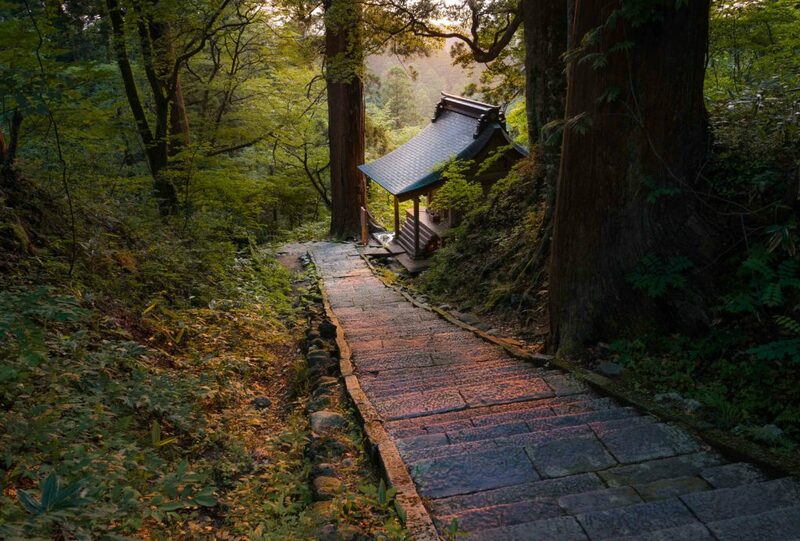 Yudono is one of the Three Sacred Mountains of Dewa (Dewasanzan) and is located deep in the towering mountains of Yamagata and surrounded by stunningly pristine nature. This mountain is regarded as the most sacred of the Dewasanzan and has great importance to the ancient religion of Shugendo and the Yamabushi mountain monks who follow it. 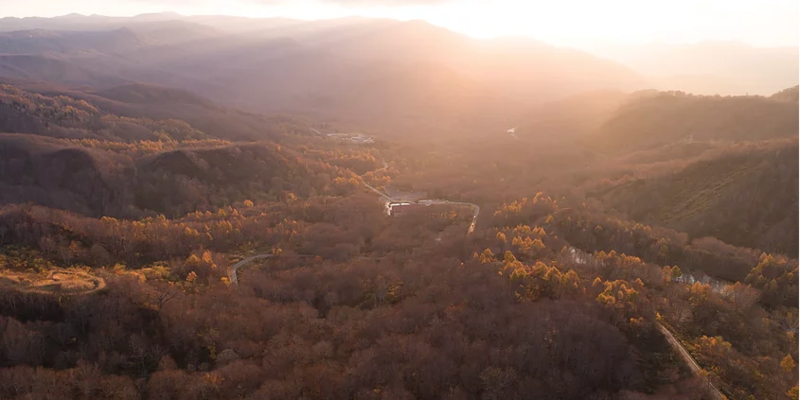 This mountain represents rebirth and the future and is part of a sacred pilgrimage of the Yamabushi who have journeyed here from across Japan ever since these mountains were first opened up to mountain worship in the late 6th century. 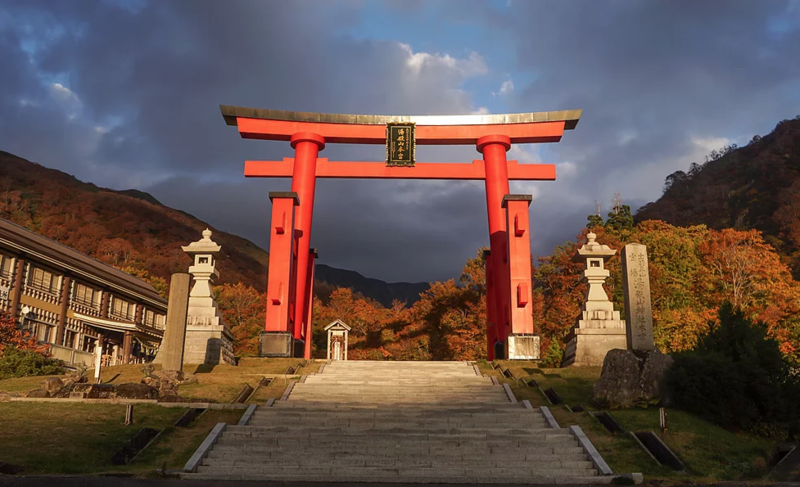 As the most sacred place of the Dewasanzan, it is strictly forbidden to shoot any photos or video within the main shrine area of this mountain. Speaking of it in detail has also been taboo for centuries and even to this day there is great pressure to limit explanation of the shrine publicly in order to preserve the sacredness of its atmosphere. One thing that can be said though is that unlike the other mountains, there is no shrine at the peak of Mt. Yudono. The shrine is actually located much lower on the mountain within a short bus ride from the parking lot. This makes it the easiest of the three mountains to visit in terms of physical activity. Secondly, it is an open air facility for the worship of an incredible and huge natural feature that cannot be fit inside of a building. This feature itself is the main deity of Mt. 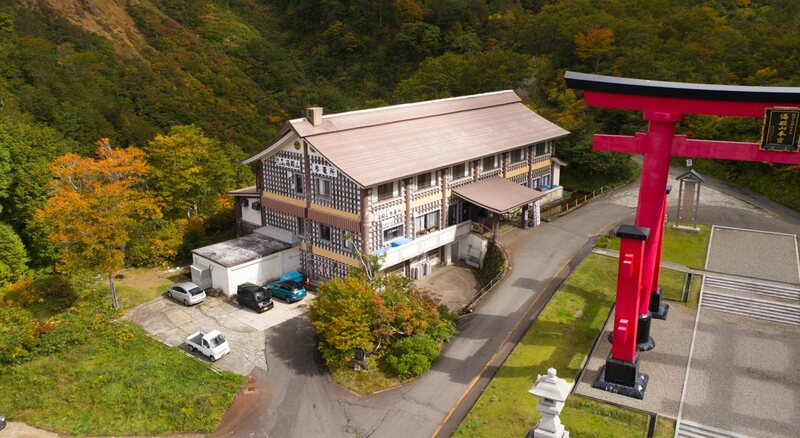 Yudono and has become a spiritual destination for Japanese people ever since its popularity surged during the Edo Period (1603 to 1868). Mt. 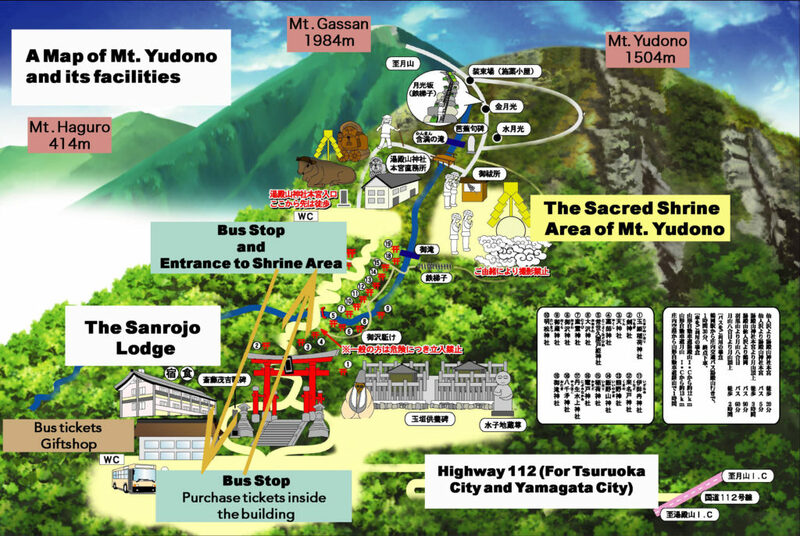 Yudono is the last part of a sacred pilgrimage here on the Dewasanzan known as the Journey of Rebirth which involves visiting and training on all three of these mountains. The first mountain in this series is Mt. Haguro, the mountain of the present and earthly desires. This mountain is famous for its 2,446 stone steps up to the top and towering cedar forest. This mountain stands at only 414 meters and is easily accessible by bus from Tsuruoka Station and takes roughly one hour to climb. The second mountain is Mt. Gassan, which represents death and the afterlife. Standing at 1984 meters, hiking to the peak of this mountain is a proper day hike and will take 3-4 hours. This is the most physically demanding mountain of the Dewasanzan. This journey finishes with a visit to Mt. Yudono, the mountain of rebirth and the place where monks train their newly reborn selves for the future ahead. You can experience this training for yourselves by undergoing some of these rituals with Yamabushi Mountain Monks here on Mt. Yudono. You are highly encouraged to visit all three of these mountains but do not need to visit them in order. You may wish to plan your trip according to your time and physical ability and it is highly advised to give yourself at least 2 days to visit these mountains. Hiking down from Mt. Gassan down to Mt. 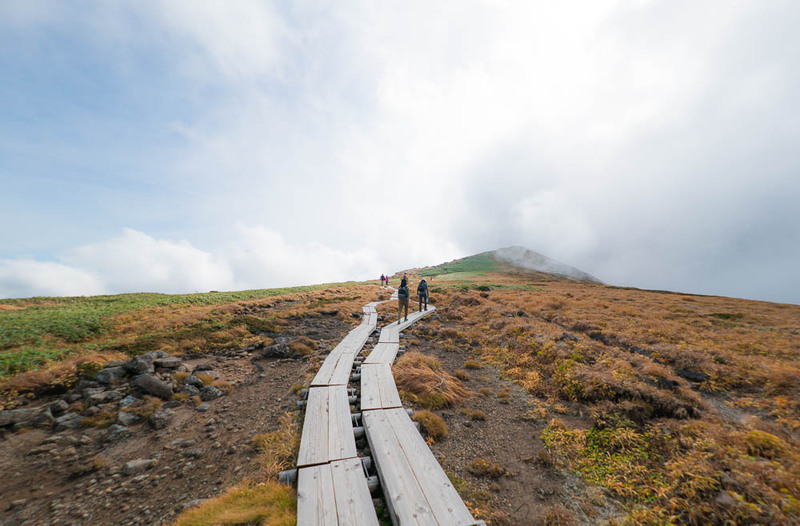 Yudono is possible, but visitors should note that is a hike that involves descending down multiple long ladders that some may find intimidating. For this reason, we recommend using easier transportations that can be found on the access page.